Looking for summer kid activities? Posted by: admin | Comments Comments Off on Looking for summer kid activities? Options abound. Here are 3 terrific camp ideas, as well as a link to find others. The Best Summer Ever, Ahwatukee Foothills YMCA 1030 E Liberty LN Phoenix, AZ, Ages 5-10, starts May 30th -July 28th, 6:30 am to 6:30 pm, $175 a week for members, $215 a week for non-members, $35 deposit required, Camps include field trips, special events, traditional activities, swimming and more. School of Rock Ahwatukee- Rock 101, School of rock Ahwatukee, 4645 East Chandler Boulevard, Phoenix, AZ, June 19th – June 23, ages 7-12, $100 daily cost, a deposit is required, Rock 101 camp is perfect for the beginner! Aspiring rockers will spend the week learning the foundation of musical concepts through rock songs. Nerding: STEM Classes for Kids, Nerding Space, 51 W Elliot Rd, Tempe, Arizona, 85284, 8:30 AM – 5:30 PM, ages 6-16, an Average week long camp is $150 for half day or $285 for a full day, 10:1 Student to Teacher ratio! Nerds get lots of individual attention, help, and encouragement. 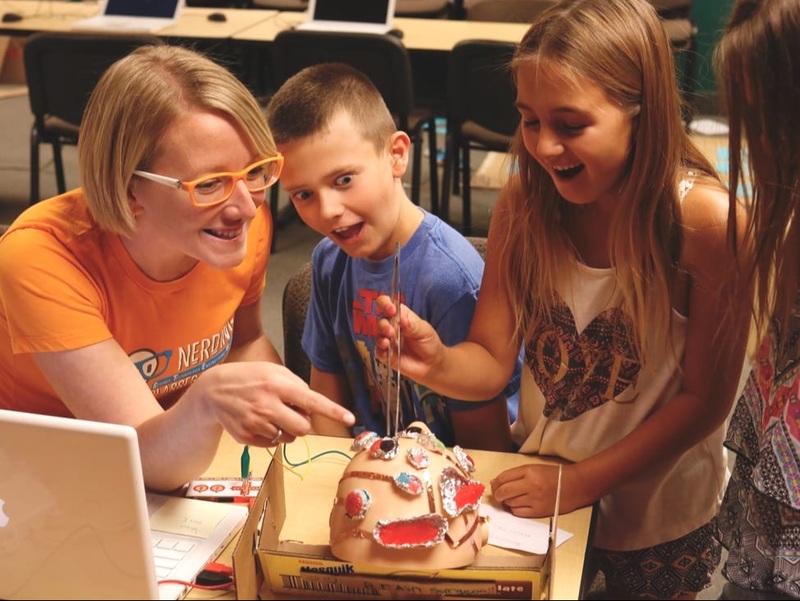 Nerding classes and camps in Tempe, AZ are all about STEM: Science, Technology, Engineering, and Making. Kids explore amazing tools like Makey Makeys, Arduinos, and iPads, program robots like Sphero and Ozobot, code original games, create rocket launchers, or learn to sew! You can search by age and type of camp using the link below. Happy camping! Comments Comments Off on Looking for summer kid activities? Getting ready to sell? Cast a critical eye! Make sure front yard is mowed and/or trimmed for a neat looking street view. This one is big, and too many sellers neglect this small but important focal point: The front door and hard ware. If your door is looking faded, or even worse, has a peeling surface, paint it or have it refinished. Replace the door knob if it’s looking bad. And make sure the key easily opens the front door. Add a cheery wreath or potted plant beside the door. Remove all, and I mean all, clutter. Few among us keep clutter effectively at bay. But when you are readying to sell, this is paramount. Start tossing, good willing, yard selling, or packing away. If in doubt – remove it. My mother always taught me that when I’m dressing for an occasion, remove one piece of jewelry to ensure against being over-dressed. In my opinion, this holds true for the furniture in each room (when selling). To showcase the space as spacious – edit the furniture. Go for a nearly spare look. Less is more. Again – give away, goodwill it, or store it if you can’t turn it loose. Stow away most of the knick knacks and photos. Less is more. You want an almost bare or lightly “staged” look. Clean, Clean, and clean some more. Base boards, mirrors, windows, baths, kitchen, closets. Sparkle is the key word. If you note something in disrepair – get it fixed. You want to market a well cared for home. Make the most of the rear yard, patio, pool area. Trim land scaping, repair bedraggled parts, plump up the cushions and make the most of the seating area. Stage here too. Coming back through the house after the cleanse and declutter storm: Add a pop of color here and there with a few of your pretty things: A couple handsome items on kitchen counter tops, fresh towels and a pretty something in each bath. I offer each of my selling clients a staging consultation with my stager. She walks through the house and yards and makes a detailed list of recommendations. Your list could be much longer than the above (but if you thoroughly accomplish steps 1-9, you are well on your way), but taking the time and care to carefully primp and preen and (even lightly) “stage” your property will mean a faster sale and more $$$ to take with you. Before I leave, a caveat: Steps 1 through 9 are key and critical. But if it’s been a while since the exterior or interior has been painted, or your carpet is several years old and showing it’s age, these home improvements are so very important that I will call them the very basics of home selling. Here is a great article on the topic Get a home ready to sell . 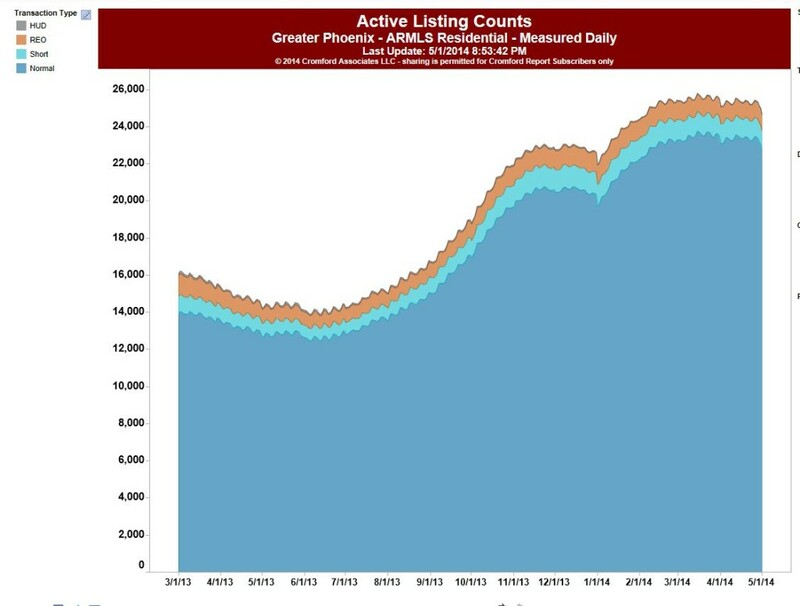 Phoenix area housing prices double dipping? Yesterday’s Wall Street Journal reported on the latest Case-Shiller housing index, which published their monthly update on housing pricing movements for the month of September. According to Case-Shiller, Phoenix area pricing dropped 1.5% from the previous month (August), but 1.9% from August, 2009. Scary stuff? If you only read the headlines it can make you groan; but perhaps the larger picture is slightly more nuanced. Rather than signaling additional large scale pricing drops, the sense among many is “The housing market is stuck at the bottom, and we’ve been stuck there for months,” said Patrick Newport, an economist at IHS Global Insight. As we have discussed before, the residential market in Arizona and the Phoenix/Scottsdale metro area will gain traction when general economic conditions in the state and city make significant improvement. In cheerful news, also in yesterday’s Arizona Republic, we are told that the Brookings Institute considers Phoenix “on the road to full recovery”, one of 24 metro centers worldwide labeled so. We may be bouncing along the bottom, but that is road we have to travel to our recovery. The indications are that we are on that road. I predict that this good news will beget even better news.